Support CAAM and be a champion for Asian American stories. Want to be a champion for Asian American stories? Support the Center for Asian American Media, whose mission is to bring Asian American stories and experiences to light through the power of media. Your gift will support CAAM's work to inform, educate, inspire and represent diverse media voices through public media. Like Patrick, I was once a CAAM intern too, back when I was an impressionable young man. The organization and its work left an indelible impact on the work I do today. Founded in 1980, the San Francisco-based Center for Asian American Media (formerly known as the National Asian American Telecommunications Association) is a non-profit organization dedicated to presenting stories that convey the richness and diversity of Asian American experiences to the broadest audience possible. They do this by funding, producing, distributing and exhibiting works in film, television and digital media. 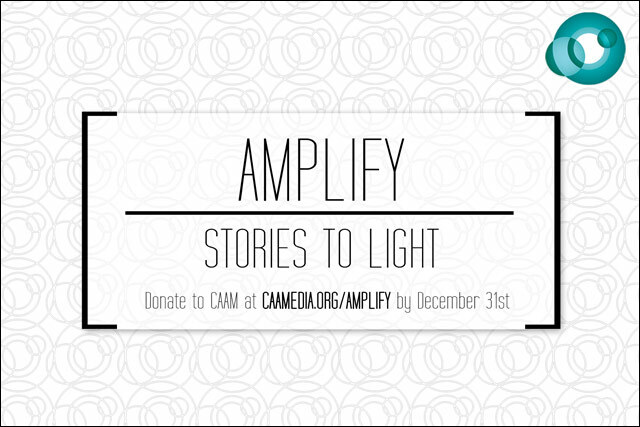 Your tax-deductible donation to CAAM's end-the-of-year Amplify Stories to Light fundraising campaign will go a long way towards continuing their good work. You'll also get some cool perks. For further information about the Center for Asian American Media, visit the CAAM website and follow updates on Facebook.